Every year when Tet approaches, students rush out to search for seasonal jobs to earn money for their trips home for the holiday. 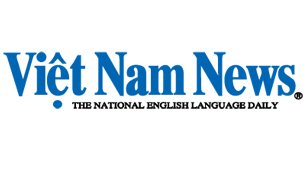 This year, students in HCM City stand a good chance of landing these positions, though experts warn them to be cautious when searching for jobs online, as many scams have been cropping up. Nguyen Trong Hoang of the HCM City Student Support Centre said there are ample seasonal job opportunities for students this year. More than 350 companies have registered with the centre to employ students part-time. Students seek employment at a job fair in HCM City. Many students rush out to search for seasonal jobs to earn money for their trips home for Tet. "These days, such jobs are posted in a wide range of channels, at the city's job centres or at students' associations in colleges," he told Nhan Dan (People) newspaper. Hoang's centre introduced a special programme running from December 15, 2014 to February 14, 2015 that has given students 4,000 seasonal Tet positions, like receptionist, promotion girl, salesperson, waiter, customer service assistant and cashier. The average hourly wages range from VND15,000 (US$0.71) to 30,000 ($1.4), while the average monthly salary is between VND3 and 6 million ($140 and $280). Statistics from the centre show that number of jobs advertised at the centre has increased 10 to 15 per cent, compared with years before. The number of students seeking jobs with the centre has increased this year as well. Meanwhile, at the HCM-City-based Centre for Vocational Orientation and Training and Job Introduction, which is under the city's Youth Union, there are many urgent employment offers. The jobs offered there are also seasonal, such as confectionary and vegetable packaging, cosmetics promotion, electronics assembly and grocery delivery. Monthly salaries range from VND3.2 to 4.2 million ($150 to $200). 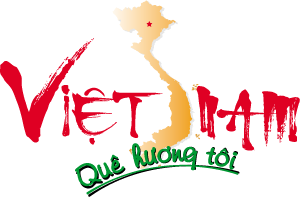 Votec, a vocational training and labour supply centre in District 10, has up to 600 job offers, a third of which are in hospitality, with salaries of VND2.5 to 3.5 million ($120 to $165). Other jobs concern delivery and supervision. The Centre for Support to Economic Development and Labour Supply is advertising 500 jobs, which are also seasonal. The pay ranges from VND15,000 to 20,000 (about $1) per hour. Experts advise job seekers to remain cautious when searching for jobs online. Tran Thi Binh, a second-year student at Van Lang University, said last year she worked as a receptionist at a restaurant that specialised in wedding parties to make some money to go home for Tet. Right before she asked for her pay so she could go home, Binh was told her earnings had been deducted for some unreasonable things: her make-up had been too light, she had used a cell phone at work and she hadn't smiled enough. Another case is Dinh Dieu Lien, a third-year student at the Industry and Trade College. Lien said she still hasn't been paid for time spent working as a promotion girl for a programme that ended a long time ago. "After many failed calls to the people who interviewed me for the job, I finally realized I had been cheated," Lien said.